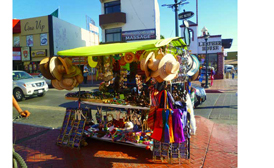 Most visitors gravitate to the “La Calle Primera” or 1st street of Adolfo Lopez Mateos due to its excellent souvenir, trinket offerings and old world charms. 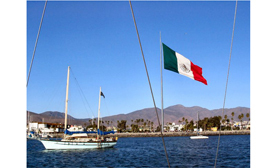 It’s a tourism spot in Ensenada due to its many “Curios” which is short for “Curiosidades” shops, restaurants, hotels, bars, and popular clubs such as the Hussong’s Cantina, Mini Bar, Mango Mango Nightclub and Papas & Beer. Popular with the hip crowd and shoppers alike, you cannot help being drawn into the frenetic pace and lively atmosphere. 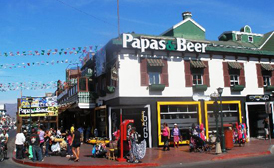 Yes, La Primera in Ensenada is a very busy street, filled with tourists and locals enjoying themselves. 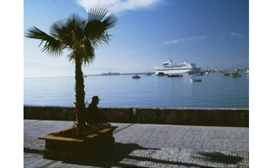 La Primera is just one block away from Ventana al Mar “Window to the Sea” sea walk, a boardwalk type avenue filled with baby strollers, young couples, cyclists, skaters and the locals whose center point is an enormous Mexican flag. 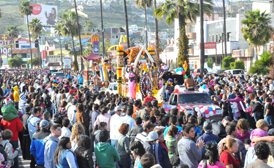 The now infamous Ensenada Carnaval is one of Mexico’s largest drawling in thousands of people from around the world who gather in the streets for six days and nights. Due south of Ensenada on the Highway 1 you can find the second-largest of three major known marine geysers in the world, colloquially known as La Bufadora or the “The Blowhole” in English. 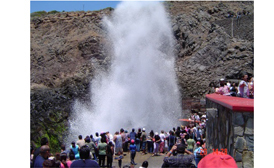 La Bufadora is always full of tourists taking snapshots and awaiting the next eruption of water from the deep Ocean. 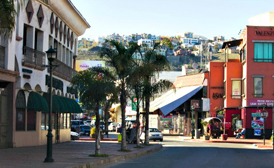 The bustling street leading to the viewpoint is a major tourist area where mixtures of authentic Mexican arts and crafts are for sale; bartering over prices with vendors is customary pastime and all part or the “encanto” for which the area is known. A myriad of excellent seafood restaurants and street vendors selling elongated cinnamon and sugar “churros” and other sweet delicacies litter the boulevard.